View To Health is a Naturopathy Clinic in Balmain offering a range of natural therapies including Naturopathy, Iridology, Nutrition & Dietetics, Herbal Medicine and Ayurveda. 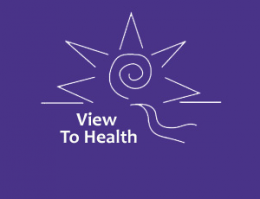 With over 25 years experience in the natural treatment of health, View to Health is operated by Lynne Goldstein, a medical herbalist, nutritionist, dietitian and naturopath with a background in medical sciences. Lynne uses iridology, individually designed diet and specially formulated herbal medicine, homoeopathy and nutritional supplements in her practice. Treatments are based on addressing the metabolic processes underlying your health problems with no side-effects. High quality approved natural medicines are used and their efficacy is validated by scientific studies. These natural medicines are only taken until the desired results are achieved. A combination of natural therapies, diet and lifestyle changes are instrumental in enabling the body systems to function properly. The result is great health and well-being. Please contact Lynne to make an appointment. Award winning natural therapies- unique style of massage therapies; naturopathy and Iridology. Professional services in Naturopathy, Remedial Massage, Acupuncture & Traditional Chinese Medicine. Providing specialist health and wellbeing services for women and their families.